Crowder Painting is a fully certified lead renovator. Was your home built before 1978? If so, the paint may contain lead. This heavy metal can cause a host of health problems. Renovations and even normal wear and tear can release harmful lead dust into the air. Minimize your health risks by choosing a contractor properly trained to handle lead-based paint. Crowder Painting is a fully certified lead renovator under the EPA’s Renovation, Repair, and Painting (RRP) Program. Crowder Painting provides on-the-spot lead testing and furnishes the homeowner with a copy of the test results; important for full-disclosure if and when you decide to sell your home. If lead-based paint is detected, we follow EPA approved procedures for containing the work area, minimizing dust, and cleaning up the debris. In addition, we maintain careful records to ensure that all our training and certifications (and those of our employees) are always current. 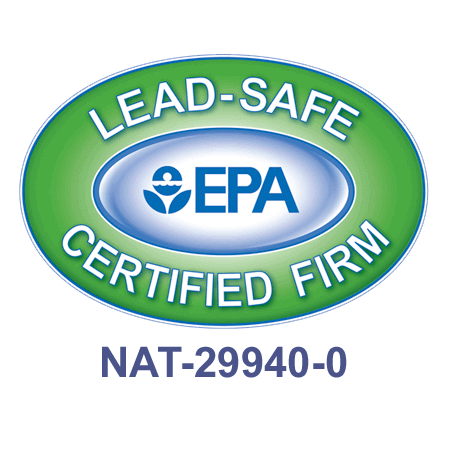 We follow the most current EPA guidelines for handling lead renovation projects and are happy to provide a copy of our EPA lead training certificate on request.